Climate Change Has Shrunk Pastures In The Andes Of Peru. Could Ancient Waterways Offer A Fix? : Goats and Soda Climate change has shrunk the wetlands in the Andes where livestock graze. Could reviving ancient water systems bring back the grass? Wetlands that surround the Peruvian village of Canchayllo (nearly 2 1/2 miles above sea level) are disappearing. Climate change, vanishing ice and erratic rain patterns are causing the wetlands in two Andean communities to shrink — and that's a big problem for the communities of Miraflores and Canchayllo. The villagers depend on the puna, a set of alpine ecosystems above 13,000 feet that include grasslands and wetlands to graze sheep, cows, alpacas, llamas and vicuñas — animals that provide them with their livelihoods. Instead of looking for modern solutions to improve access to water, the villagers turned to an old one: centuries-old hydraulic systems that dot the Nor Yauyos Cochas Landscape Reserve, a state-protected natural area seven hours east of Lima. These ancient systems have been used to help irrigate the reserve's pastures and provide nutrient-rich soil for hundreds of years. So in 2013, the communities teamed up with scientists from U.S. nonprofit The Mountain Institute (TMI) and reserve authorities to devise plans to revive their historic waterways, including canals, lakes and reservoirs. In addition to providing water, the project also would help mitigate the effects of climate change on the landscape, which has been degraded by grazing, melting glaciers and erratic rainfall. Villagers in Canchayllo stand by a reconstructed canal. These efforts have earned the project international recognition, including an award in the Water Impact category in the Solution Search: Farming for Biodiversity contest in December 2017, organized by international conservation organization Rare and sponsored by the German government's International Climate Initiative. And this spring it won the St Andrews Prize for the Environment, sponsored by the University of St Andrews in Scotland and ConocoPhillips. Andean communities — often marginalized and impoverished — are struggling to adapt to climate change, says Bryan Mark, a glaciologist with Ohio State University. Since the 1970s, Peru has lost more than 40 percent of its ice surfaces, a critical water source for the capital city of Lima and the rest of the semi-arid coast. This loss caused the wetlands to shrink, leading herders to overgraze what pastures were left. Some villagers are diversifying their livelihood with activities in fields such as tourism, while others have moved to nearby towns and cities. The traditional practices that created and maintained the wetlands were disappearing, says Fernando Quiroz, the biologist in charge of the Nor Yauyos Cochas Landscape Reserve. "People have been here since pre-Incan times and they have always rotated grazing areas and organized traditional festivities to clean up ditches." If the ditches are not cleaned regularly, they tend to clog. The ancient water systems the villagers wanted to revive once kept the wetlands verdant in the puna, an otherwise dry region sometimes described as an Andean tundra. When these systems functioned they created bofedales, prairies engineered by ancient Peruvians to retain meltwater and rainfall. In the Miraflores community, a pre-Hispanic reservoir lay empty and abandoned. Its sloped walls, made of big rocks, were still standing, but the channel that fed from it was damaged and almost invisible. In Canchayllo, ancient walls and canals draining from a natural lagoon stood dead and dry, abandoned. Enlisted by TMI, Álex Herrera, an archaeologist from the Universidad de los Andes in Bogotá, Colombia, explored the area using Google Earth in 2013. He confirmed the presence of ancestral water-management systems. The rock constructions he saw from above were at least 1,200 years old. To Herrera, the existence of wetlands created by the old irrigation systems suggested that water and sediments intentionally were harvested for herding. Herding requires grass, and water makes it grow. Sediment slows down water and makes soil humid longer, meaning better grass and more food for animals. The irrigation systems work by slowing the draining of rainfall and glacial meltwater high in the Andes, acting as a giant colander collecting clay, sandy silt and other soils that promote the growth of flora that alpacas and llamas like to eat, Herrera says. 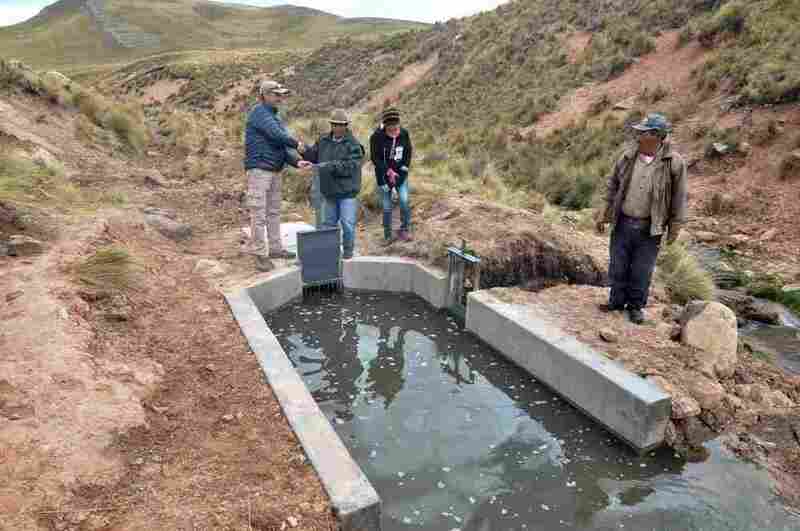 Restoring these hydraulic systems took two years — from 2013 to 2015 — and the participation of the community, the government and scientists from La Molina National Agrarian University. Funding and support came from local authorities, The Mountain Institute, the United Nations Development Programme and the German Ministry for the Environment through the U.N.'s Environment Programme. In some cases, restoration meant cleaning and rehabilitating abandoned wells and canals so they would collect rainfall. In others, the solution was a hybrid: installing PVC pipes alongside the ancient stone system that would carry rainwater to pasture lands. Earlier this year, one of the formerly abandoned canals reportedly carried almost six gallons of water per second during the dry season, which has reduced the impact of grazing livestock on the land and improved the quality of forage. Herders, previously forced to feed their animals in a dwindling ecosystem, now have larger areas available to rotate the grazing of their animals. Once the hydraulic system was restored in the village of Canchayllo and water was released in an area of 800 hectares, in 2016, the flow found its way through old veins naturally carved in the soil where water had once streamed, says anthropologist Jorge Recharte, director of TMI's Andes program. "You have water filtration and water holes appearing in lower altitudes, not too far away," Recharte says. "Wetlands reemerged in some areas and these are very important when your animals have offspring during the dry season, because the mothers will have green grass and water for their kin." Rainfall moves slowly down the soil, grasslands retain more moisture and aquifers and springs in lower altitudes are replenished. Recharte says improved water access in communities such as Miraflores and Canchayllo has a wider impact: "Our hypothesis is that if the punas are well managed and rotated, water will be retained better and filtered better, and springs in lower altitudes will not dry up." Experts concur that reviving this infrastructure requires maintenance work and effort, and hope that short-term results such as improved pastures will motivate villagers to continue doing so. In the case of abandoned or dry canals, Mark, the Ohio State glaciologist, thinks it's worthwhile to consider interventions such as extending the canals to active springs or setting up new, smaller reservoirs to feed them. The Peruvian government has recognized the importance of irrigation for agricultural development, launching "Sierra Azul," a fund of $123 million for projects that include, among other strategies, water harvesting and the revival of ancient hydraulic technologies. This public fund is good news for communities who already are working to improve water management strategies. 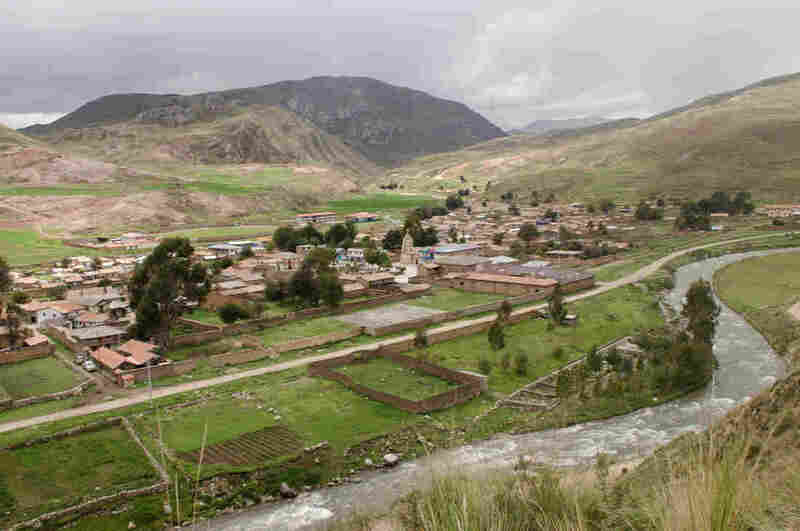 Around 300 families, or about 1,200 people, in the Nor Yauyos Cocha Landscape Reserve have directly benefited, according to the Mountain Institute. Quiroz, the reserve biologist, hopes the message will reach beyond the Andes. "Sometimes city folk do not understand where they are getting their water and resources," he said. The work to preserve these resources "is positive for everybody." Elda L. Cantú is a reporter and a professor of international politics at ESAN University. She writes and reports for Radio Ambulante and has recently moved from Lima, Peru, to Mexico City, where she has joined the staff at the New York Times en Español.